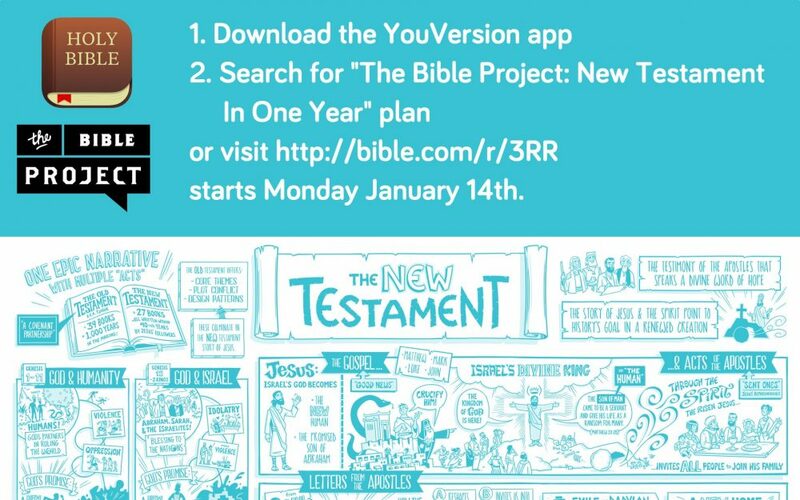 This year we, as a church, are undertaking what seems like (at 6:30am when my alarm goes off) the mammoth task of reading the New Testament in One Year. Don’t roll your eyes at me! I know! I get what you’re saying! It’s not really that much of a big deal, is it? The New Testament has 260 chapters. Break that down into 52 weeks and it’s not even a chapter a day. Completely doable! But when you are like me, and you have precious little reading time and you prefer that to be taken up with a bit of Jane Austen (19th century romance anyone? ), reading the bible daily is really something I prefer to do, just by reading the “verse of the day” when it gets emailed to me. But, like many in our church (most who are a lot more diligent than me, and a lot less possessive over their reading time), I committed to following along with this plan as part of our Resvolution sermon series. And I have to say, it’s proving to be really enjoyable. 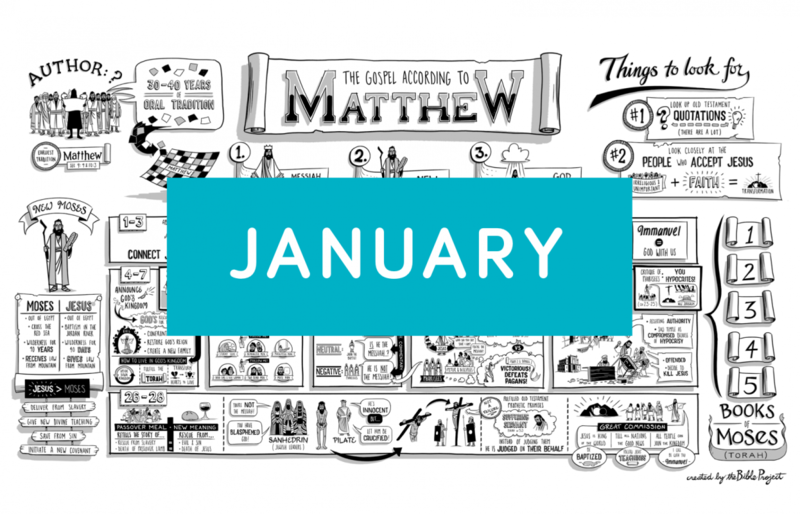 In January, The Bible Project have started us reading Matthew, and this little video, on day two, had me hooked! I’ve been going to church since before I was born, so hearing something explained in a new way always sparks my interest. I loved how they broke up the purposeful placement of stories by Matthew within the narrative, and explained the genesis of the gospel by explaining the links back to the Old Testament. We are only half way through Matthew, so if you have not yet joined in with the reading plan, feel free to jump on in from where we are up to! You will get more from it than you know!